a piece of London for Kelantanese. Old-fashioned Post Box erected since the British colonization in Kelantan. If you’re a Kelantanese and if you’re never reached in London, in fact in a dream, this is the chance if you want to ‘experience’ what so-called the City of London and its vicinity, no needs to go to Airasia website and booked your ticket, the easiest way is you’ll have to flock in around Kota Bharu and you’ve to find this legend, “Bank Kerapu”. Haa. Haa. In front of this formerly known as The Merchantile Bank of India Ltd, you’ll find an old-fashioned post box leave intact and it was erected from the early British administration in Kelantan before the World War II struck.i.e 1920’s. This is one of the British ‘heritage’ from their colonization period in Kelantan a part from Obelisk Memorial and administration system that we adopt until today. 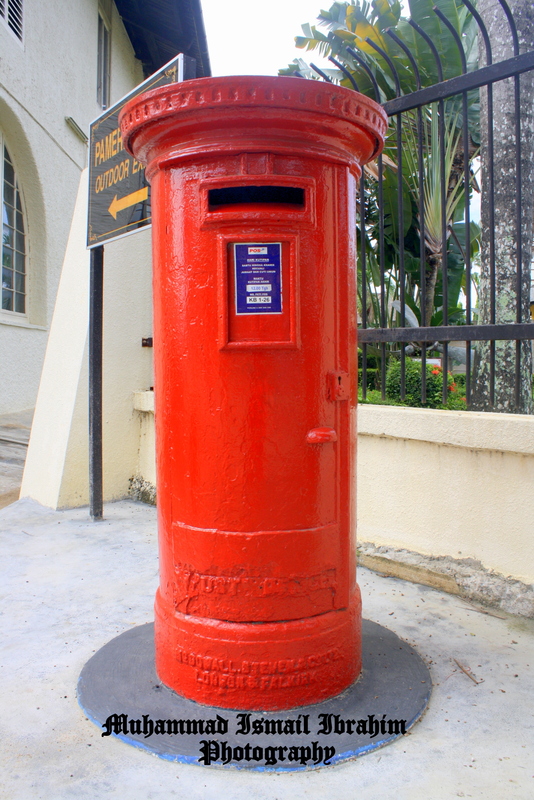 This London-made Post Box, probably the one and only in Kota Bharu and perhaps in Kelantan, you can feel the ‘London’ merely with this nostalgic post box. he. he. he. 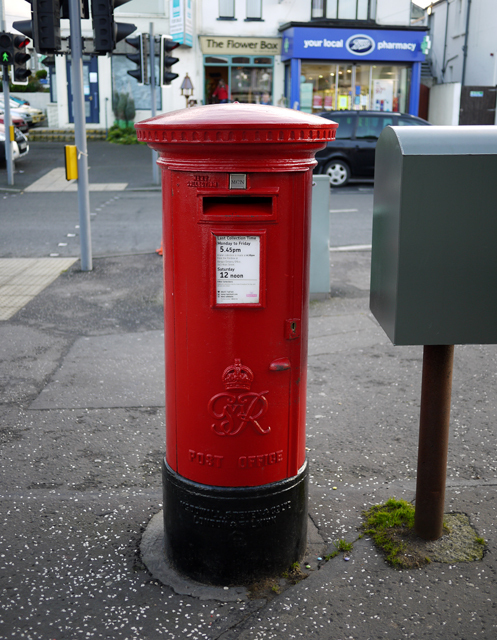 This Pillar Post Box was made by McDowall Steven & Co Ltd. London & Falkirk. see here & its collections. Postbox, Bangor George VI postbox outside the Post Office at Ballyholme, Bangor, London. 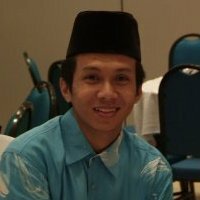 « Kota Bharu: Dulu & Kini | Menggamit Memori. Perfectly blog! If you like a interesting photos, you can see my blog http://nikolaygeorgievkotev.wordpress.com/. First I would like to congratulate you on your effort of making this blog a very informative source of knowledge especially for those who are seeking information about Kelantan. I;ve been coming to this blog for quite some time and I really love all your posting. Apart from the written text the most valuable things are the picture. Personally the pictures from the bygone era. Nevertheless your last entry about the red old post box was a bit let down. The picture was OK but the text was a bit out of order. I was having quite a difficult time digesting the word. At certain point it was a bit ambiguous thus making it quite hard to be easily comprehended. But then it was a commendable effort.